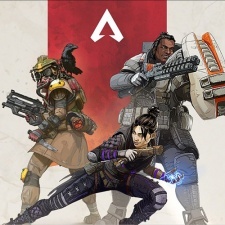 Update - 6/2/2019: Apex Legends attracted close to three million users in its first day in the wild. That's according to EA CEO Andrew Wilson, who revealed the milestone in an investor Q&A following its financial results. The chief also said that the free-to-play battle royale title saw a peak of 600,000 concurrent users. "In the first 24 hours we had over 2.5 million unique users trending past towards three million unique users and nearly 600,000 peak and current users kind of in the middle of a Tuesday, so it's very early but the response to the game has been very, very strong," the exec said, as transcribed by Seeking Alpha. "We've been the number one views game on Twitch since launch and player sentiment seems to be very, very high right now." Original story - 5/2/2019: WIthin just eight hours of launch, Titanfall battle royale game Apex Legends managed to hit one million users. That's according to the CEO of developer Respawn, who posted on Twitter (below) with the milestone. The game was announced when it launched with a livestream, though leaked information from influencers ahead of the announcement meant that hype was already building. Apex Legends is free-to-play, meaning that it's not wildly surprising that the game hit one million users so quickly. Many consumers will simply want to check the game out, so hopefully, Respawn will be able to provide some more information about monthly active users, revenue per user and so on to give us a better idea of how the game is doing. This title is what Respawn is working on for the foreseeable future, too. Speaking to VG247, design director Mackey McCandlish said that Titanfall 3 is not in development and that Apex Legends is what the studio is working on for now. “This is the game being made by the Titanfall team, Apex Legends,” McCandish said.